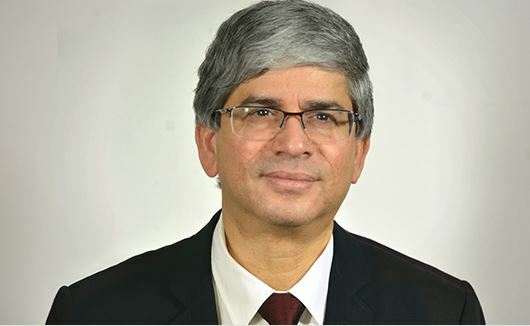 Dr. Yatham, Professor in the Department of Psychiatry, is also the Regional Head of Psychiatry and Regional Program Medical Director for Mental Health and Addictions at Vancouver Coastal Health and Providence Health Care. He has held leadership positions for national and international professional organizations including President of the International Society for Bipolar Disorders, Secretary for the World Federation of Societies of Biological Psychiatry (SFSBP), and is now the President-Elect for the SFSBP. Dr. Yatham’s major areas of research interest include neurobiology and treatment of bipolar disorder and major depression. Dr. Lam will be responsible for providing strategic leadership in promoting excellence in research in the Department and in building the international profile of the Department through establishment of partnerships and collaborations with various academic centers, institutes, and government agencies globally. Dr. Lam is a Professor and BC Leadership Chair in Depression Research in the UBC Department of Psychiatry, and the head of the Mood Disorders Centre at the Djavad Mowafaghian Centre for Brain Health at UBC. Dr. Lam is a lead investigator for the Canadian Biomarker Integration Network in Depression (canbind.ca), and his depression research encompasses clinical trials, biomarkers and eHealth technologies. He is active in global mental health as Executive Director for the APEC Digital Hub for Mental Health (mentalhealth.apec.org) hosted at UBC, and Principal Investigator for the CIHR-funded EMBED Study (embedstudy.ca) of measurement-based care for depression in Shanghai. Dr. Dagg will be responsible for providing strategic leadership for Postgraduate Education in Psychiatry, including subspecialty programs, as well as development and implementation of Continuing Professional Development programs for the Department. Dr. Dagg is currently a Clinical Professor in the UBC Department of Psychiatry and the Executive Medical Director for the BC Mental Health and Substance Use Services at Provincial Health Services Authority. 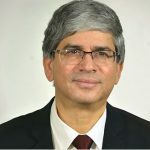 Dr. Dagg has many years of experience in medical education both at UBC and at the University of Ottawa, where he was appointed from 1991 to 2005. Dr. Dagg currently chairs the Accreditation Committee of the Royal College, and previous to this, he chaired the Specialty Committee for Psychiatry at the Royal College for six years during which, among other activities, he led the development of the Practice Eligibility Route Assessment for Fellowship Certification. Dr. Koo will be responsible for providing strategic leadership related to clinical faculty issues and partnerships with Health Authorities, the Ministries of Health and of Mental Health & Addictions, Mental Health advocacy groups and other relevant stakeholders. Dr. Koo is a Clinical Associate Professor in the UBC Department of Psychiatry, and the Program Medical Director, the Regional Department Head, and the Head of Academic Psychiatry for the Mental Health and Substance Use Program in the Fraser Health Authority (FHA). In his regional medical administrative roles, Dr. Koo has provided strategic and operational medical leadership during a period of significant service expansion within Fraser Health in both the mental health and addiction medicine programs. 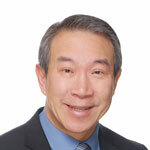 Dr. Koo is actively involved in UBC Department of Psychiatry education programs and, as Academic Psychiatry Lead for FHA, he has developed a regional network of teaching sites and academic faculty, expanding psychiatric medical education across the Fraser Health Authority. Dr. Raymond will be responsible for providing strategic leadership in the development and implementation, as well as oversight on all aspects of the Graduate and Undergraduate Medical Programs related to Psychiatry. Dr. Raymond is a Professor and Louise A. Brown Chair in Neuroscience in the UBC Department of Psychiatry, an Associate Member of the Department of Medicine (Neurology) and the Djavad Mowafaghian Centre for Brain Health, and the Co-Director of the Centre for Huntington Disease. She served as Director of the UBC MD/PhD Program for 12 years, as well as course co-director, then module director, for the Neuroscience 500 course for over 20 years. She is a clinician-scientist specialized in managing patients and families with Huntington disease, and works in a multi-disciplinary clinic that includes psychiatry, neurology, medical genetics, and social work.